TweetUp is a popular search and advertising platform on Twitter and it’s now spreading its wings by acquiring Twidroid, creator of the popular Twitter client for Android phones. Of course the hook-up deserves a new name and to avoid legal trouble with Lucas films (trademark owner of the term ‘droid’) the owners are calling the app Twidroyd. TweetUp is not stopping there though. They’re also buying the news aggregator service Popurls which is a favourite among users as it provides the most popular items from the NY Times, Twitter, Digg, Delicious, Reddit, Youtube, Flickr and lots of other news and social media sites on one platform. 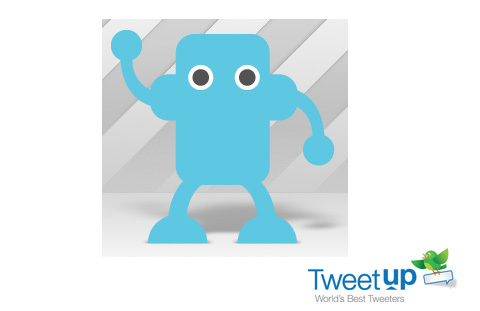 TweetUp is aiming to find the world’s best tweeters from the new refined distribution network. Though the terms of both the acquisitions were not disclosed but TweetUp CEO Bill Gross released a statement today celebrating the merger. Acquiring Twidroyd provides TweetUp with a number of strategic advantages. Twidroyd is widely considered the best Twitter client for Android phones and it leads in market share, so its growing base of users will be a valuable source of well-informed feedback on TweetUp search on mobile devices. In addition, the Popurls website, which attracts users looking for a convenient guide to the most popular sites, news, videos and blogs on the Internet, will be a natural spot to display TweetUp search results and gain user feedback. This combination should enable us to more rapidly refine our offerings, generating better user experiences for distribution partners and for users searching for the world’s best tweeters regardless of their choice of devices. The company under the new moniker Twidroyd has released version 3.4.0 of the Android app, which incorporates most of the new features announced.